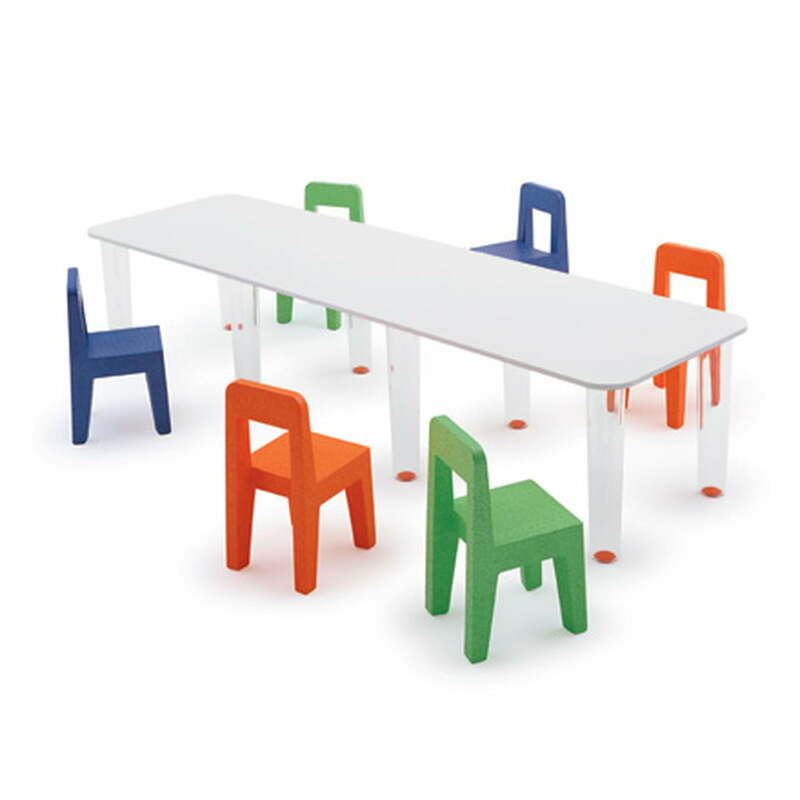 The Seggiolina Pop is the once again the proof that the Magis – Me too collection knows in detail what children need and what they want. 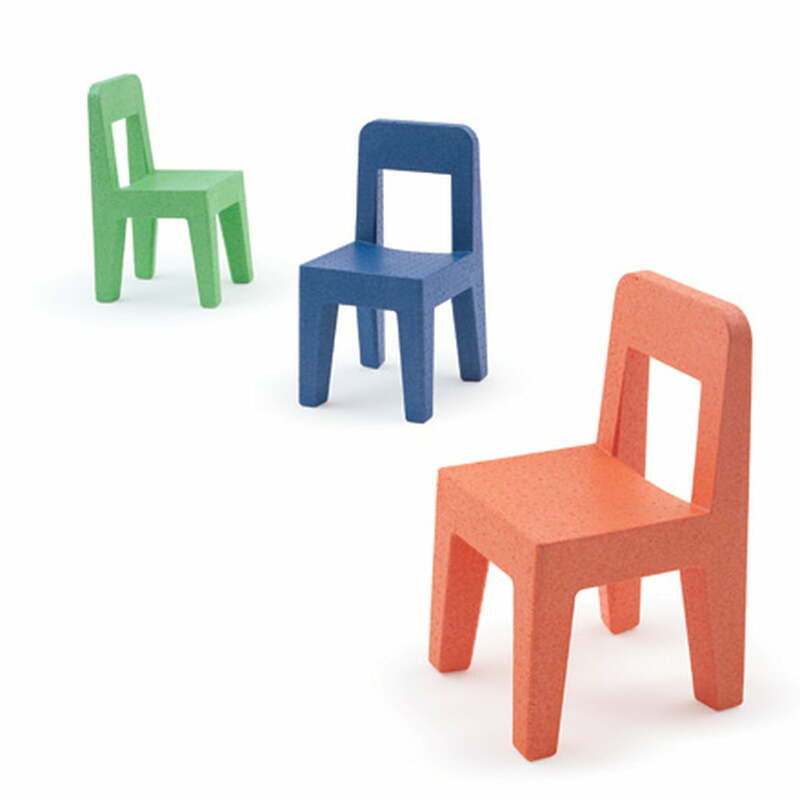 The chair has just a weight of 700 grams and thus, kids can easily carry it around. 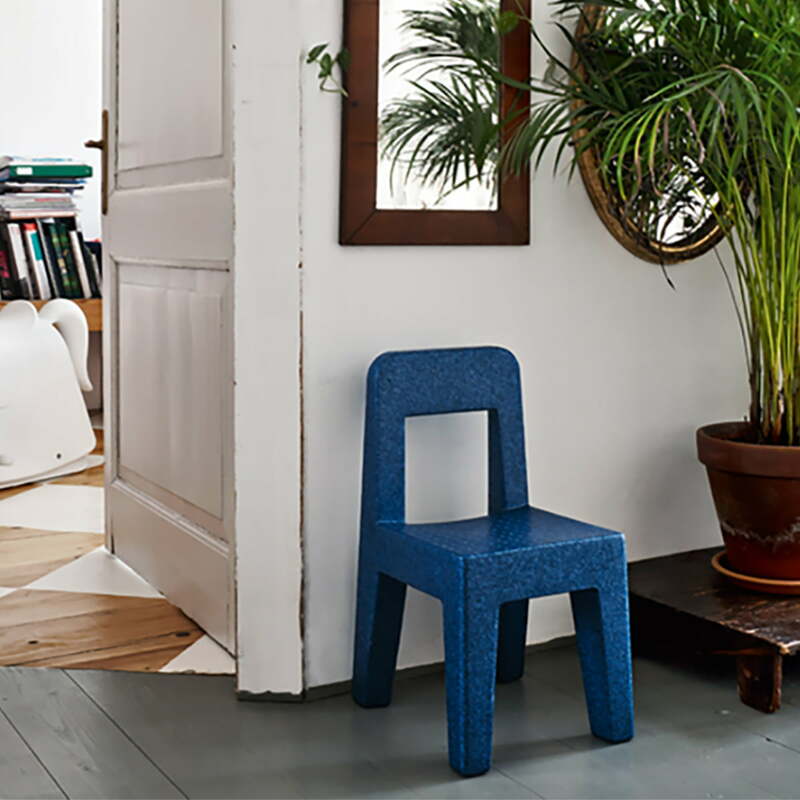 Due to its special material, it is robust enough to cope with the daily claims in the kindergarden, in school or at home. 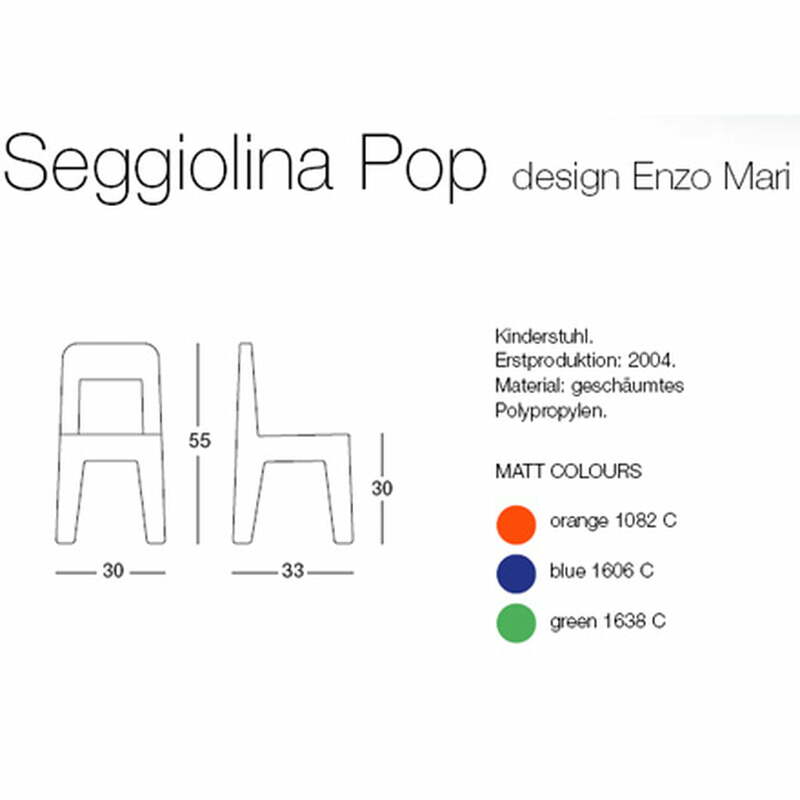 The design was created by Enzo Mari who presents with the Seggiolina Pop a timeless and classical picture of a complete chair. 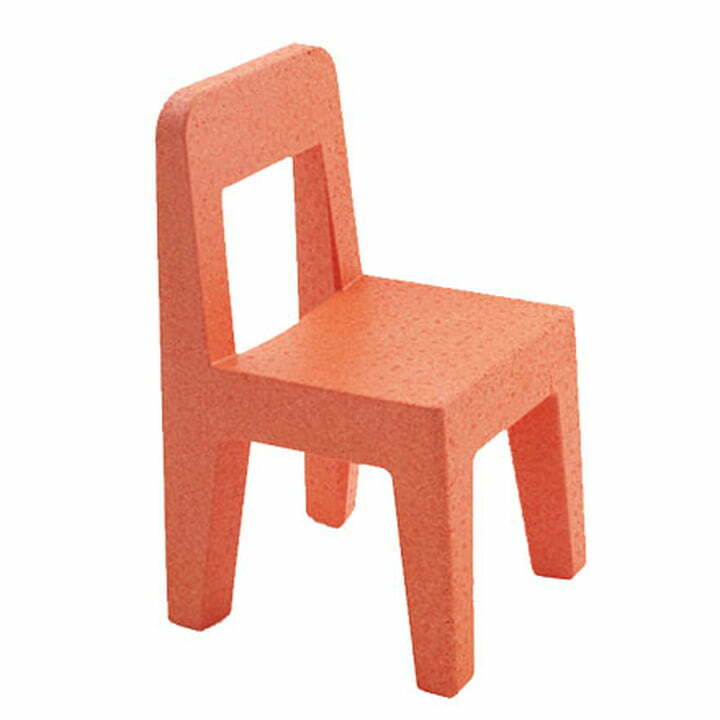 For the material he chose sintered expanded polypropylene which has a bit the consistence like Styrofoam but it is more stable.